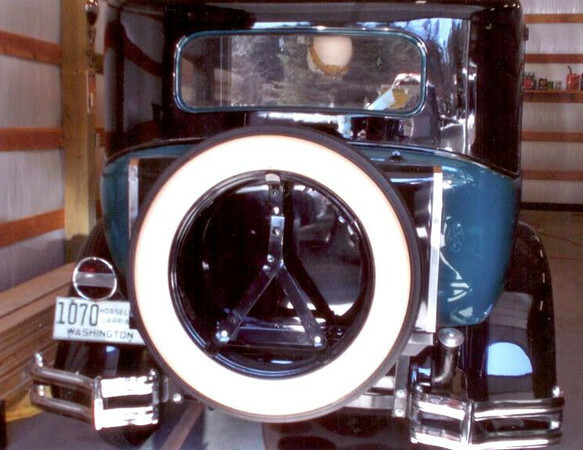 Spare Tire Set-Up on a Model 29-27. Spare is mounted behind the trunk and is actually attached to the swing-down part of the trunk. This set-up was on the car in 1965. Trunk lid is pretty heavy when opened.